Full City Rooster is a Coffee Roasting Studio providing distinctive coffee products and services from around the world -- chosen to please a diverse range of tastes. Our coffee bean selection involves an intimate series of offerings. We select only the finest single origin coffees from micro-lot growers and socially responsible farms. Once Full City Rooster selects the beans, they are delivered to our studio for us to begin roasting in our state of the art Loring Roaster. It is the most environmentally efficient, sustainable roaster available on the market today. 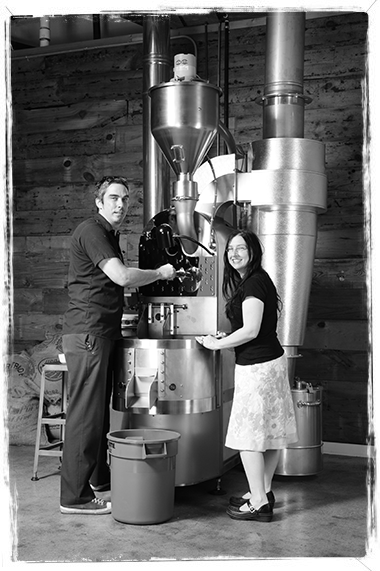 One of Full City Rooster’s primary objectives is sharing our passion for great tasting coffee. Fortunately, great tasting coffee is a direct result of maintaining environmentally sustainable methods throughout the coffee growing, harvesting, roasting and brewing processes. We would love to share our means of operation, our coffee and service with you. Come see us Monday through Saturday 7am to 4pm. Or feel free to contact us for an appointment. We love indulging with other coffee fiends! Sample our offerings and take away some of the finest roasts you’ll ever experience.